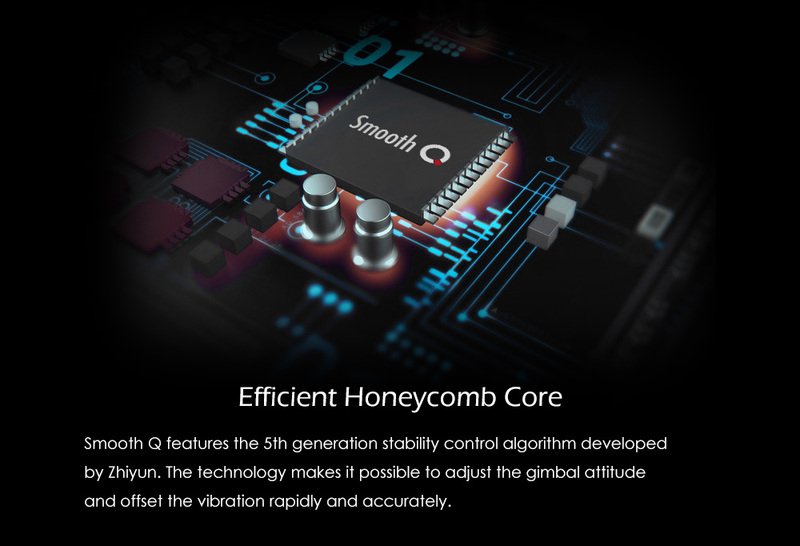 Zhiyun Smooth Q is a compact professional smart gimbal for phones. It is designed with a new operating system to ensure it easy to perform accurate and quick in different positions between different operation modes, so that you are free from controlling it. 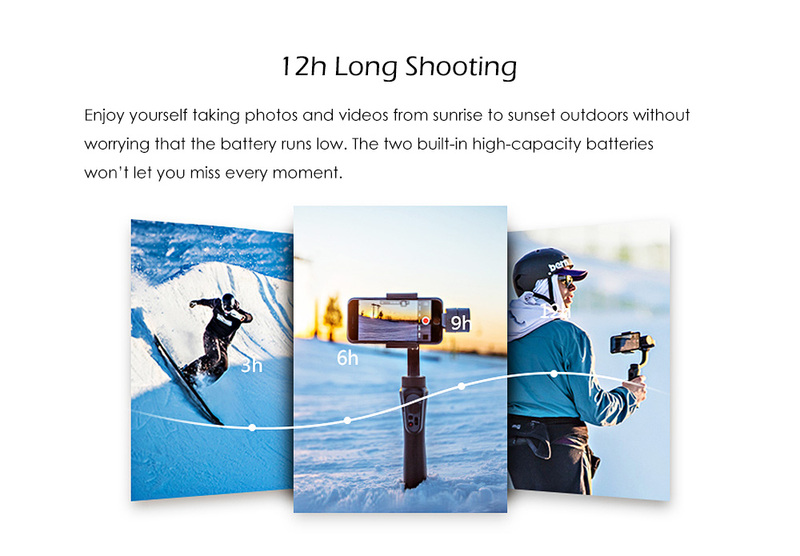 Zhiyun Smooth Q is also a great product which can bring you creativity with functional buttons on photography and film such as Photo/Record, Zoom in/out and get rear camera/Selfie mode transferred; creativity also comes from expendable updated APP (APP-ZY PLAY), with which you can make auto-tracking, time-lapse and filter changing be possible. A maximum payload of 220g supports you to attach diversity lens with different focal length, kinds of fill light and many other photo/film cool gears anytime anywhere. Besides, it features colorful make-up with jet black, gold, rose gold and space grey options. Working duration is as long as 8 hours and available for you to have a real-time Mobile Charging. It is really valuable at its price. 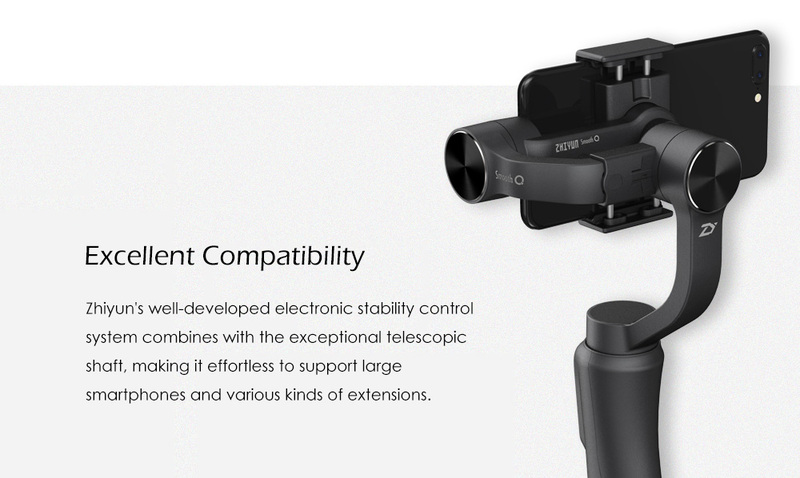 More accurate and quick response to your operation: Zhiyun Smooth Q is designed with a better working system to ensure the response rate 30%-40% faster compared with Smooth II and free switch between standard and vertical shooting position. 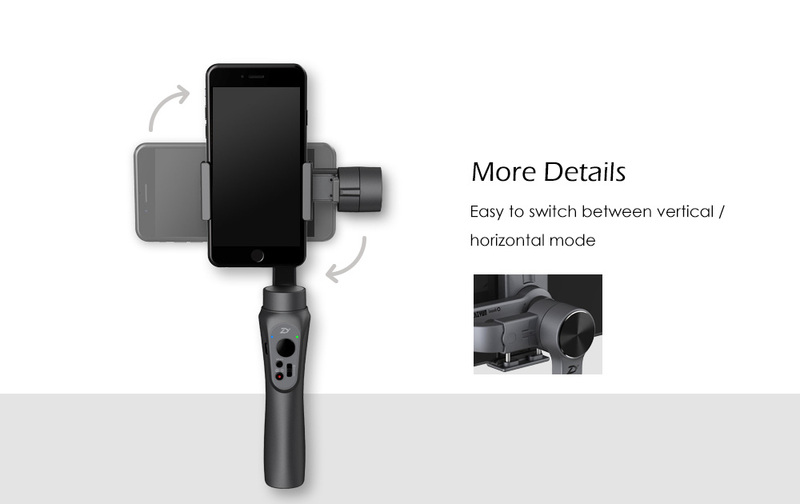 Easier to use with no counterweight and a lighter gimbal body weight compared with other competitive brand’s product: there is an extendable axis for you to balance the device by only one step. 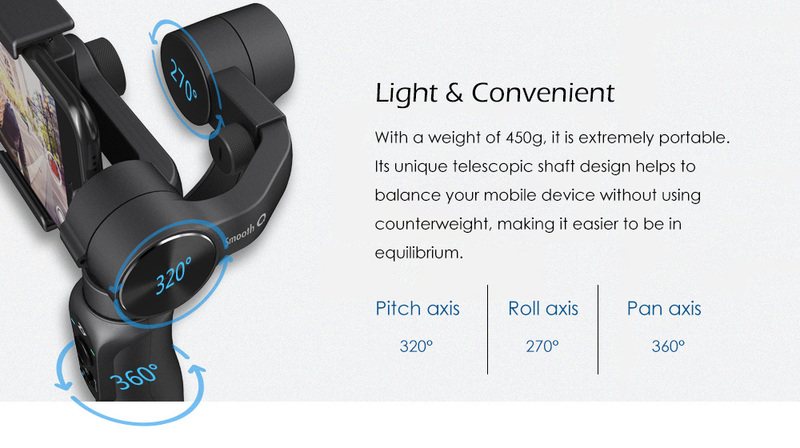 50g less weight than OSMO mobile, you are available to use it more conveniently. 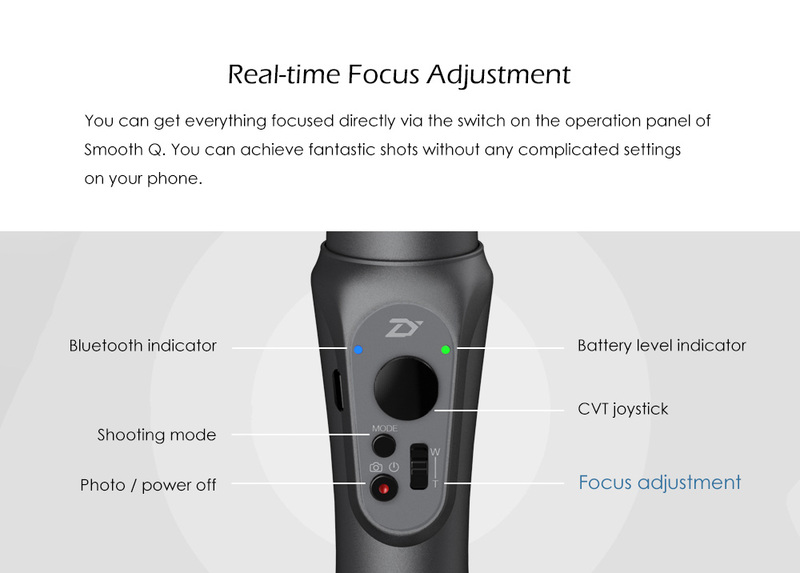 Functional on photography/film: Zhiyun Smooth Q has buttons to Photo/Record, Zoom in/out and get rear camera/Selfie mode transferred. 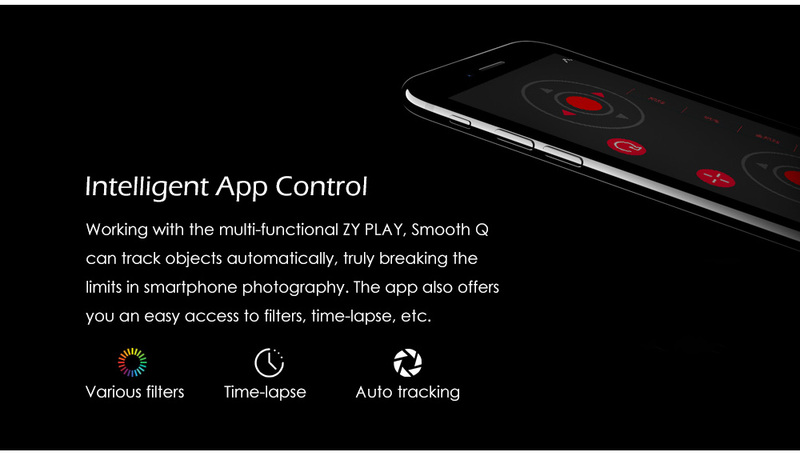 APP extended functions on photography/film: Updated APP-ZY PLAY covers auto-tracking, time-lapse and filter options at present, making more possibilities. Expandability on gears: with a maximum payload of 220g, Smooth Q supports you to attach diversity lens with different focal length, kinds of fill light and many other photography accessories. Convenient power output for real-time mobile charging. 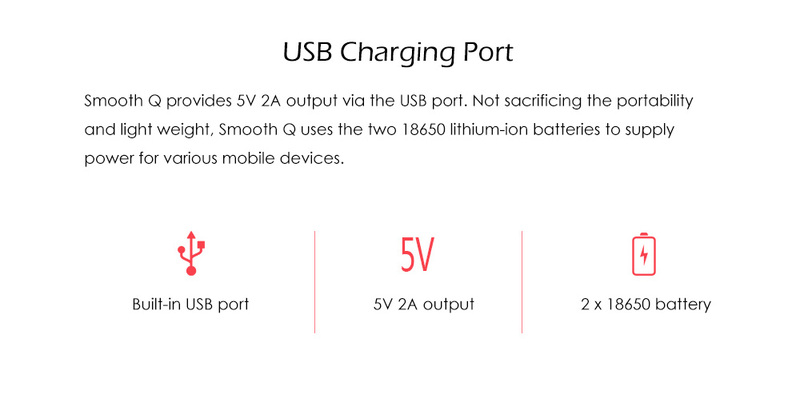 The USB port at the bottom supports 5V/2000mA power output, you can charge your phone while shooting. More than that, plug-in soft lights and other extended accessories are available as well. No need counterweight any more. 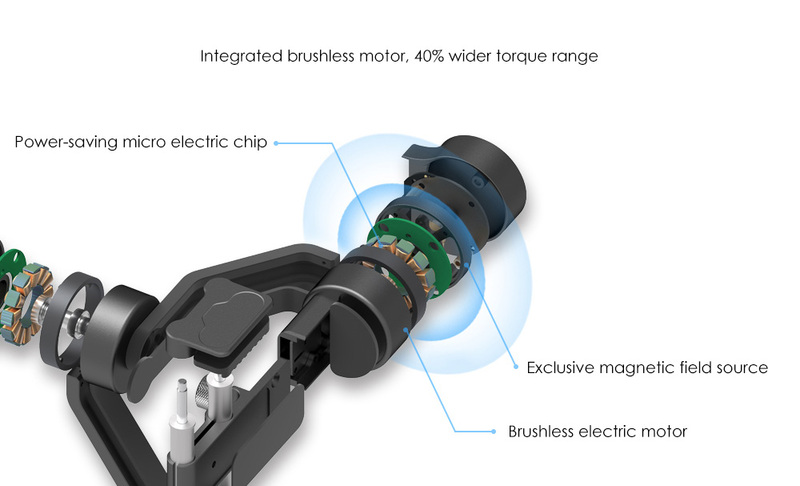 Featuring advanced electronic tech allows one-step balancing by simply adjusting the knob on the rolling axis. Attn. : Do not forget to fasten the screw after balancing the gimbal in case of damage on motor’s lifetime.